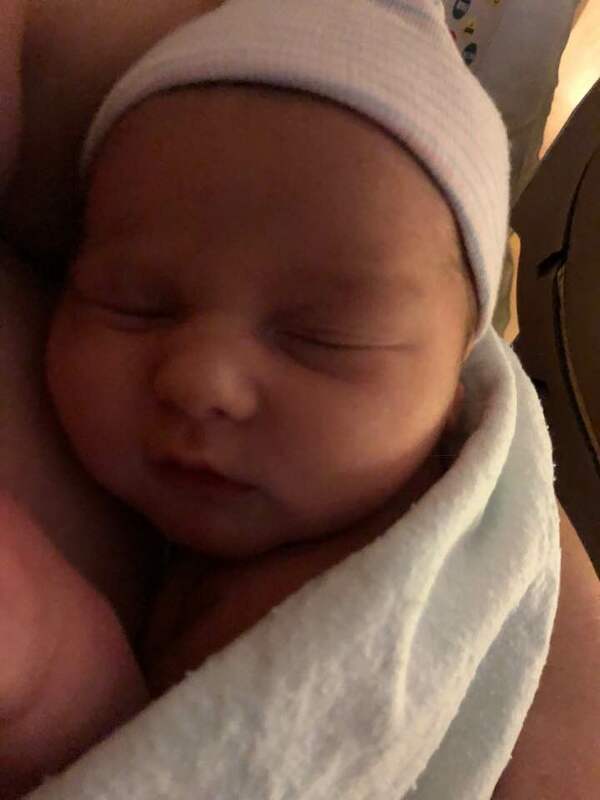 Alisha and I are so happy to introduce to you the newest addition to the Ames family…Samuel Issac Ames, weighing in at 6lbs 15 oz, 20 inches long, born February 26th at 5:57 am! We could not be more smitten! Thank you to everyone for all of the congratulations and outpouring of love over the past few weeks since Samuel entered our lives. We are truly blessed and appreciate it all. Soon after Samuel’s birth, I scheduled him for his very first “chiropractic for newborns” appointment at Ames Chiropractic. During the process of childbirth, newborns may experience misalignment of certain bones. Simple chiropractic massage and stretches can carefully place these bones back into the right place, keeping your babies growth in line and pain free. Samuel did a great job during his first adjustment, and we feel happy knowing that his precious little newborn body is full recovered and aligned after birth. If you approaching the birth of your child, or have recently given birth, give us a call and we can provide chiropractic adjustments for your infant or newborn, and for you too Mom!